A new cinematic universe is in the early stages today as Deadline reports that plans are underway for multiple films based on Rob Liefeld’s Extreme Universe. Graham King and Fundamental Films will work with Akiva Goldsman and Weed Road to flesh out story plans, following the same writers room strategy that Goldsman recently brought to the Transformers franchise. Liefeld himself will produce the Extreme Universe films alongside Brooklyn Weaver of Energy Entertainment. 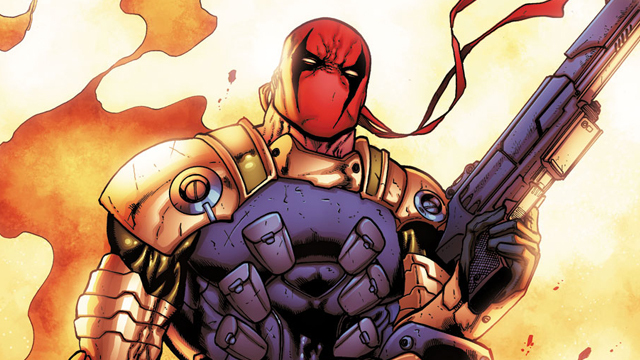 Liefeld, best known today for co-creating Marvel’s Deadpool character with Fabien Nicieza, was one of the founding members of the creator-driven Image Comics in the 1990s. His own comic book publishing imprint, initially called Awesome Comics, has seen a lot of changes over the decades, but the current iteration of the Extreme Universe was rebooted a few years back and includes titles like Brigade, Battlestone, Bloodstrike, Kaboom, Regex, Cybrid and Bloodwulf. Absent from this new Extreme Universe deal are notable titles Youngblood and Avengelyne. The latter is set up at Paramount Pictures with Goldsman himself attached to direct, however, so an eventual continuity link is certainly possible there. After all, Paramount was the studio that gave birth to the Marvel Cinematic Universe with 2008’s Iron Man. It is noted in today’s announcement that the Extreme Universe films are likely to embrace an R-rated sensibility in tone with last year’s Deadpool. How do you feel about an Extreme Universe movie franchise? Is there a particular character you’d like to see get his or her own movie first? Let us know in the comments below!